Buy The 5th Wave novel boxed set or the film from Amazon. You too can earn money from writing articles by signing up for InfoBarrel. 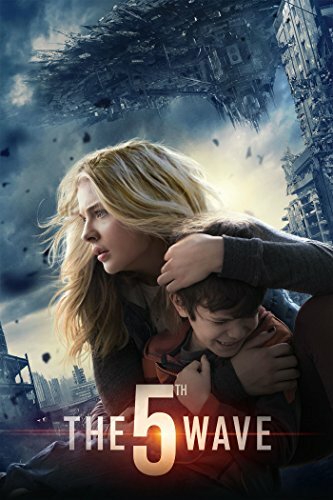 The 5th Wave is based on the young adult science fiction novel of the same name by Rick Yancey. It opens with a girl running through the woods carrying an assault rifle and a backpack holding a teddy bear. She enters into an abandoned and mostly looted petrol station where she manages to find some supplies. Someone else is in there also, and the girl ends up shooting him. Then it goes back an unspecified amount of time, but probably only a few weeks at most. The girl, Cassie (Chloë Grace Moretz), is a high school student in Ohio when a large, mysterious object starts orbiting the planet, a UFO of some type. Nothing is heard from the alien craft for 10 days, then the first response happens - and it isn't a friendly one. The aliens attack in a series of waves. The first wave is an electromagnetic pulse which wipes out power grids and everything that uses electricity. Cars go out of control and crash, and planes fall out of the sky. (It isn't mentioned whether the Internet survives or not; considering that was what it was originally intended for, some of it should have). The second wave is earthquakes, which cause tsunamis that destroy islands and coastal areas - which is where the majority of the population lives. The third wave is an engineered virus that takes out most of the rest of the population. Credit: https://en.wikipedia.org/wiki/File:5th-Wave_poster.jpgThe fourth wave is when the aliens start taking human hosts. The aliens, which are called The Others, would seem to be a type of parasite that can inhabit the skull and control the actions of people, making it very difficult to distinguish between friend and foe, and the host humans are hunting down those survivors that are still free. The titular fifth wave is going to be the elimination of the last of the human race still surviving. Cassie loses both her parents, but her younger brother, Ben (Zackary Arthur), survives. He has been taken, along with all the other children at the refugee camp where they were, by Colonel Vosch (Liev Schreiber) of the U.S. Army to Wright-Patterson Air Force Base. Cassie was left behind, but she promised to stay with her brother, and sets of after him. It is some distance to Wright-Patterson, especially without any transport, and along the way she is shot and injured. Cassie is rescued by the strangely skilled Evan Walker (Alex Roe), who offers to help her get to the base. At the base itself, Sam and the other children are being recruited and trained to become soldiers. It is apparently easier to tell whether or not children are hosts to the Others, so they are being trained to fight the enemy, no matter how young they are. Sam, now known as Nugget, is part of a squad led by Ben Parish (Nick Robinson, Jurassic World), now called Zombie, and someone Cassie went to school with - and quite fancied. The children are going to be Earth's last line of defence against the fifth wave. The first part of the film somehow manages to feel both hurried and slow paced. Hurried, because it tries to get all of the waves and the events leading up to the present out of the way as quickly as possible. Slow paced, because it takes about an hour to do this, and there is very little action in this part of the film. Cassie narrates at times over the first part of the film. Then the action appears and the pace of the film speeds up quite a lot. Once the film gets up to the present, it separates into two different plots, the first involving Cassie's attempt to get to her brother again, and the second involving said brother's participation in the soldier training, although Zombie and, later, Ringer (Maika Monroe, The Guest), play larger roles in this training than Nugget does. Cassie, despite being stuck in a society that has no working electricity, manages to keep herself in pretty decent shape. She does eventually lose her immaculate and undamaged nail polish, but is still apparently managing to shave her legs and never appears with more than a few artfully applied smudges of dirt on her face, and her hair never becomes the sort of matted mess that might be expected from living in the woods with no facilities. It seems it is possible to go too far when it comes to realistically simulating post-alien invasion apocalyptic conditions. There are some parts that appear to have dodgy reasoning, seem odd or to degree contradict information given earlier, if you concentrate on them. However, this isn't due to poor plotting; instead, it is actually part of the plot. This isn't just a science fiction film; it is also a conspiracy thriller, although not enough time is spent developing this angle. The certification, at 15, is on the high side for a young adult film, which is probably not going to help. It isn't especially gory or anything, but there is violence. The most disturbing part of the film is probably the child soldiers - many of them seeming to be under 10 years old. The novel is the first part of a planned trilogy, and the film may have just been successful enough to adapt the second book in the series into a sequel, although reaction to the film has been significantly poorer than to the novel it is based on. Given the differences in the critical and commercial reactions between the two mediums, it would seem that errors were made converting the novel into the film. Indeed, the second part of the film often feels rushed, as it is struggling to cover the two plot threads in enough detail with the time left in the film. The whole film gives the impression of poor time management. Either the first part should have been completely hurried through in much less time than it took, rather than the combination of hurried and slow paced it resulted in, giving more time for the second part, or the film itself should have been longer - again, giving more time for the second part. 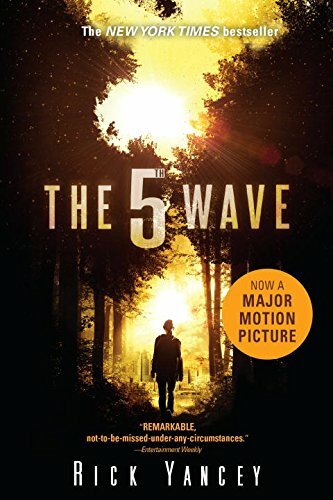 On the whole, the problems with The 5th Wave would seem to be more with how it was adapted (quite poorly, is the impression given) than problems with either the cast, or the original story, which would, from what can be determined from the film, appear to have had some original elements.